This week’s (optional) prompt is all about local legends. Instead of picking any from my travels I asked Carlos to tell me about some from Chile, as surprisingly I don’t think I knew any. So, we spent Friday night looking at some different legends on the internet, (rock and roll!) and I’ve picked one to share with you today. Known for her beauty, her happiness and her long, blonde hair. She is a water spirit who lives in the sea of Chiloé. 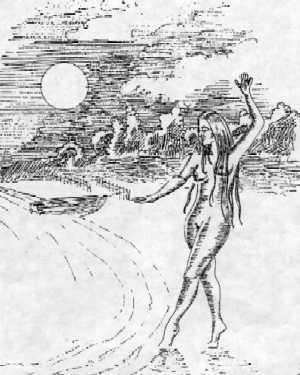 However, if she dances facing the mountains, the opposite happens and the food from the sea will be few and far between as it becomes infertile. 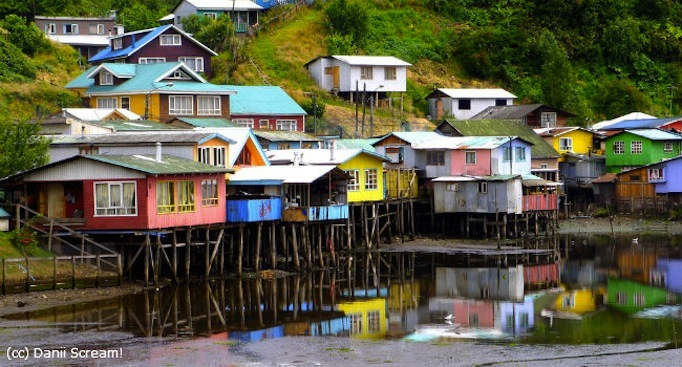 The people of Chiloé then call for her to return so that once more they can have fish and seafood to feast on. I hope you enjoyed learning about La Pincoya, it was fun to write a different type of post and learn something new about Chile! Now, it’s time to link up! From last week I would like to highlight Natalye from Deutsch, Bitte! for her wonderful post about the famous azulejos that she spotted while in Lisbon. 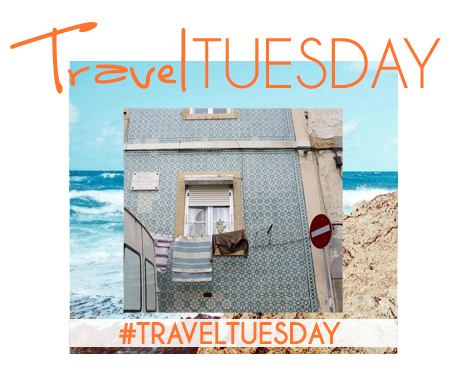 She included so many beautiful pictures of all the colourful, patterned tiles that can be seen throughout Lisbon and got me wanting to visit there, even more than I already do! 2. Grab the lovely button and link back to your lovely hosts: Michelle, Amanda, Caity and I. Cool story… it’s interesting to hear these legends and be able to think to a point in time when people likely came up with them to explain the world around them. I think before the advent of “modern science,” everyone was a bit more creative in their explanations. Very cool story and I just love those colourful houses as well! Aren’t they lovely? I really want to visit them! I think what I’ve realized from this week’s theme is that I LOVE LEGENDS! They feel like my childhood 🙂 Are you fluent in Spanish?? Me too – I have LOVED reading them all 😀 Depends what you mean by fluent?! 😉 hehe. I can have a full on conversation and understand everything but, my grammar is ridiculously bad as I’ve never taken classes. My family-in-law don’t speak any English so I’ve learnt it all from chatting to them. Hopefully I’ll improve when we’re back in Chile. Chiloe is a magical place to visit. You can stay in a Palafito – the houses over the water. We stayed in one while we were there and it was just fantastic. 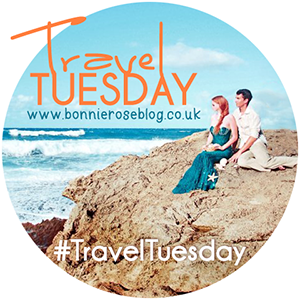 At high tide you are surrounded by water and at low tide you see miles of seabed. I gave the address of the one we stayed at in my Chiloe post, which I know you have read. I can recommend it but I’m sure there are other Palafitos you can stay in as well. Chiloe has an abundance of myths and legends – magic too – I didn’t know about La Pincoya legend – thanks. I love this myth! It’s like a Chilean version of the little mermaid or something. I want to visit Chile desperately!! I’m glad you enjoyed it Valerie! You’re right 🙂 Happiness brings happiness! What a cool story! I love Chiloe especially Ancud. My favorite beach is just south of town. Miles of uninhabited beach you can drive on with caves and giant rocks. Just spectacular! Thanks! It’s always fun to learn about.